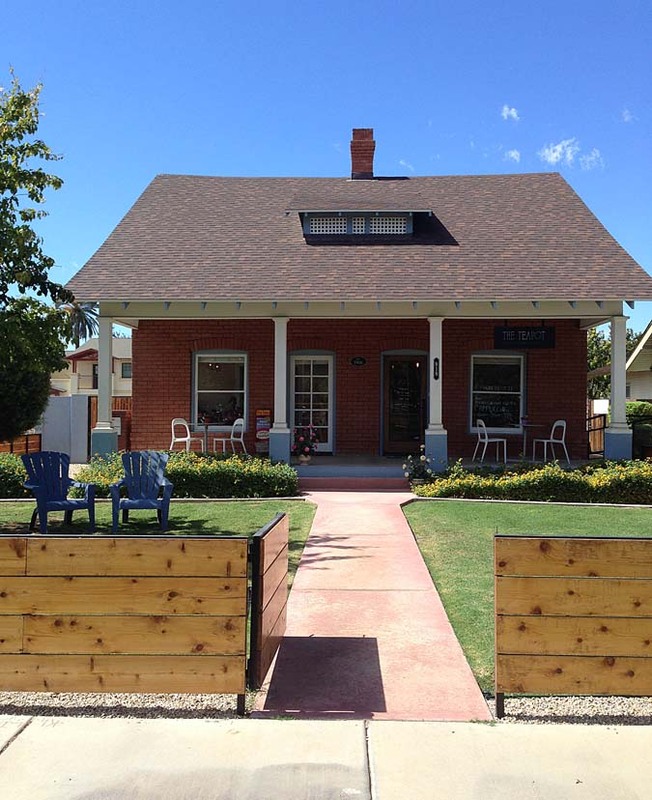 Nestled in a quaint renovated early 1900s home in downtown Phoenix, is The Teapot. 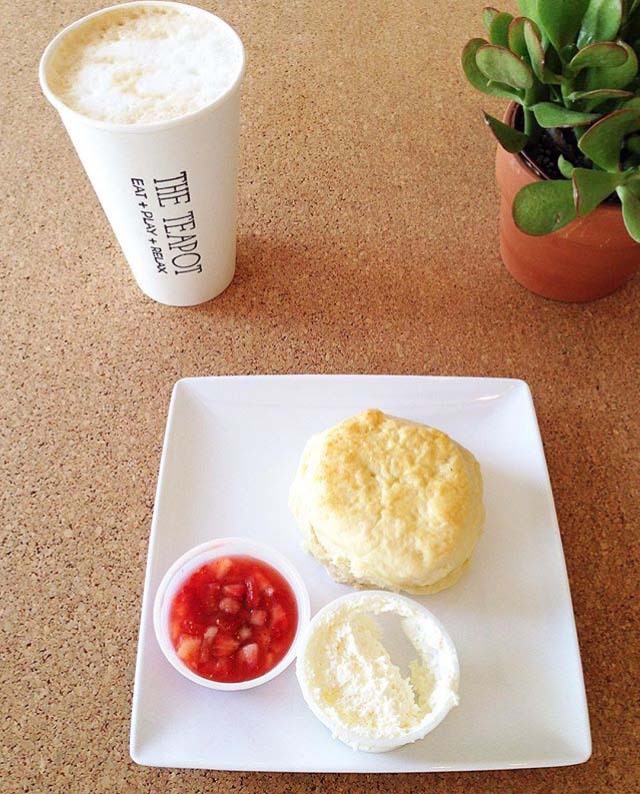 It’s a coffee shop + restaurant + event space that is family friendly, and is just a downright great place to grab an authentic English scone and a latte. 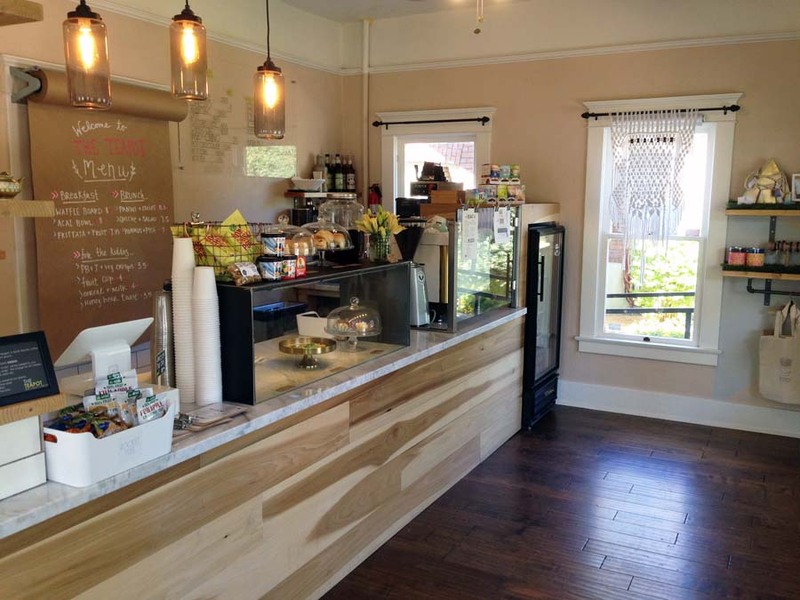 The space is airy, with lots of light filtering in on sunny days. The decor is minimal (though so Instagram-worthy), with lots of potted plants and succulents. A few children’s play corners dot the couple open rooms that make up the space. 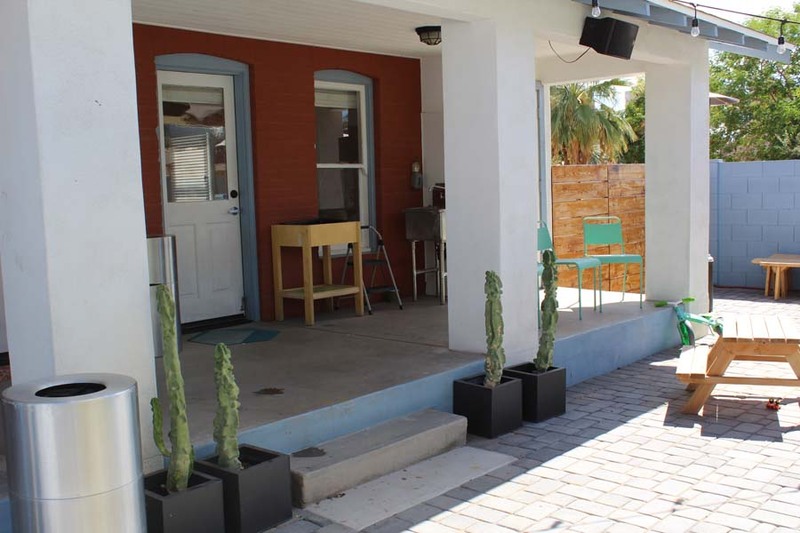 There’s a back door that opens onto a spacious porch and then to the backyard, where a fun-looking two-story playground and an assortment of toys are available. 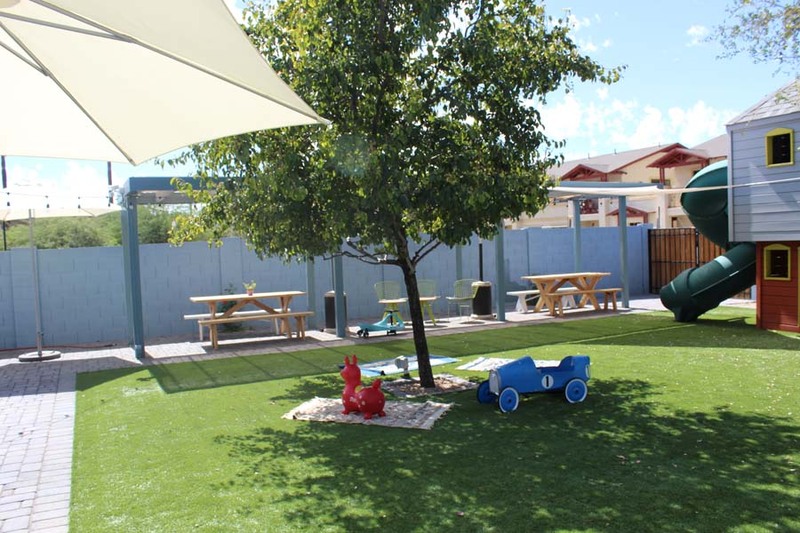 There is plenty of seating under the canopies for the parents to relax while their kiddos play. Even the yard looked pleasant enough to grab a blanket and have a nice little picnic. 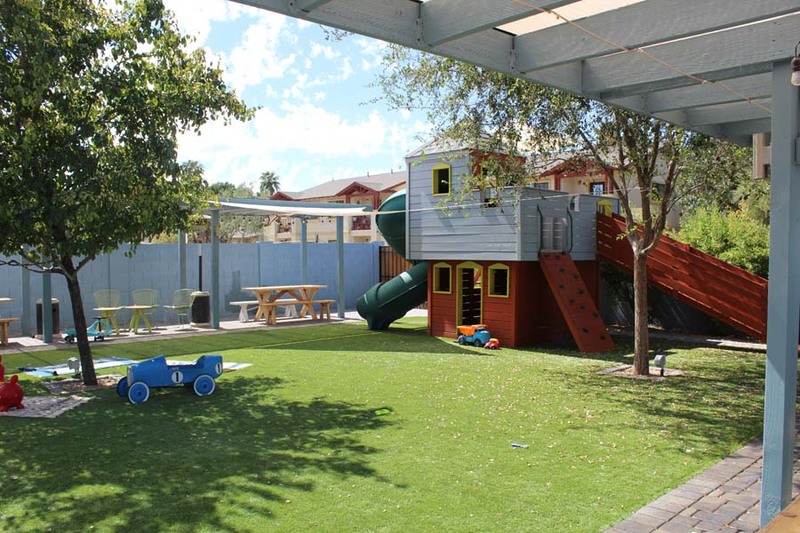 NOTE: A $2 charge (per child, ages 1-8) will be added to the bill when you bring the kiddos, as it helps with the upkeep of the space and playground. 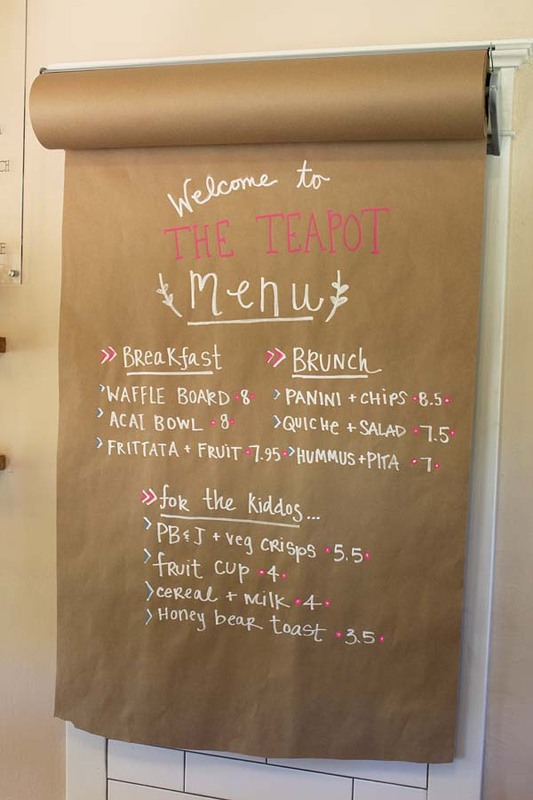 The Teapot offers two different menus: one for the tiny folk, and one for the “big kids.” Menu items include some breakfast and lunch offerings, as well as scones, cactus cookies, and other treats. I HIGHLY x 100 recommend the scones. I’ve been to several tearooms before, but NOTHING compares to the scones at The Teapot! They held their soft opening March 2016. 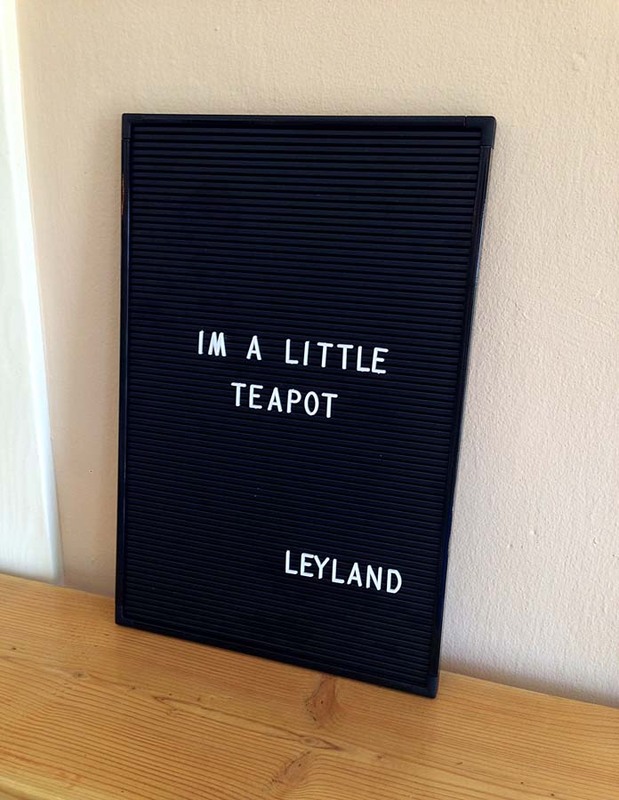 As word of The Teapot grew throughout the “mom community,” they had reached over 3,000 Facebook followers within the first month of being open. They then closed during the month of August to do some renovations and regroup. The grand opening took place in September, but have had a steady flow of loyal patrons ever since. Ok…so about those scones… Jonathan, who also owns the Real London Bus Company, a party bus company that includes a fleet of authentic English double-decker red buses; was born and raised in England. That company has always played a part in the English cliché. 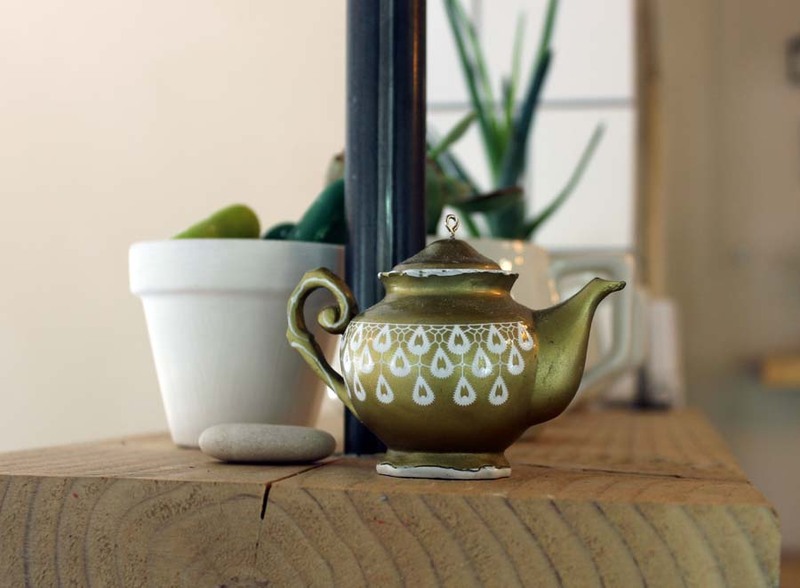 They didn’t really want to solely categorize themselves as an English brand in a sense, for The Teapot. They instead turned to making the scones because there was such a huge demand for them. Since the couple isn’t so “kitchen-savvy,” they decided to bring Raelynn’s mother (a retired chef) out of retirement. She is now their “pastry chef extraordinaire.” She creates traditional English scones, ranging from: original to blueberry; raspberry-coconut, and apricot almond. 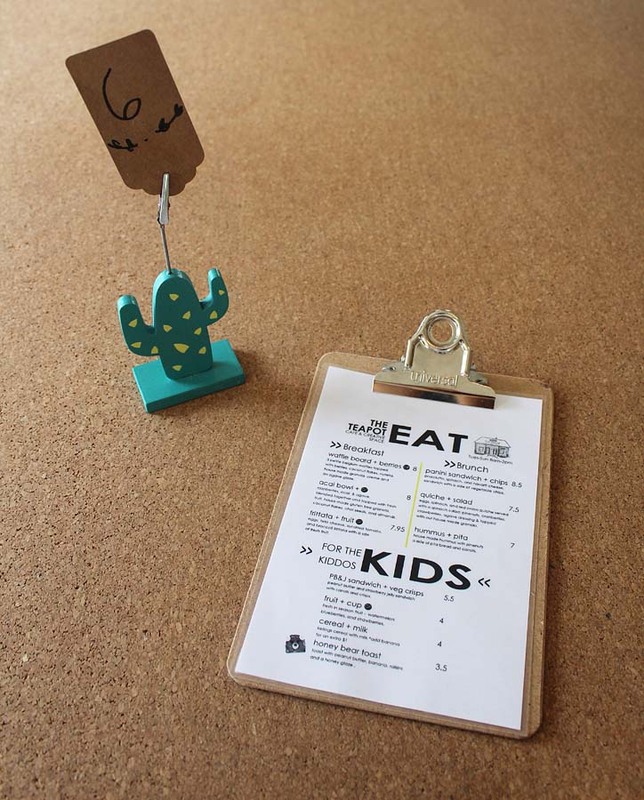 There are also other varieties of treats… and yes, cactus shaped cookies are one of them! 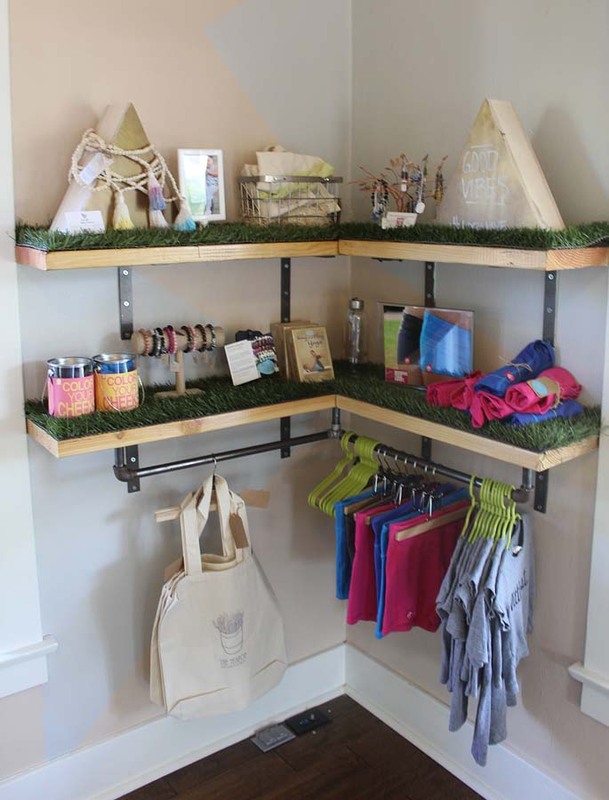 There’s a cozy little retail corner in the front room, where there are products made by local artists (some of who are customers). Be sure to get on The Teapot’s Instagram, Facebook, and website…as they post event listings throughout the month. They usually have arts and crafts sessions, music classes…they recently held a flower crown making and cacti making class. The property is also available for private events. 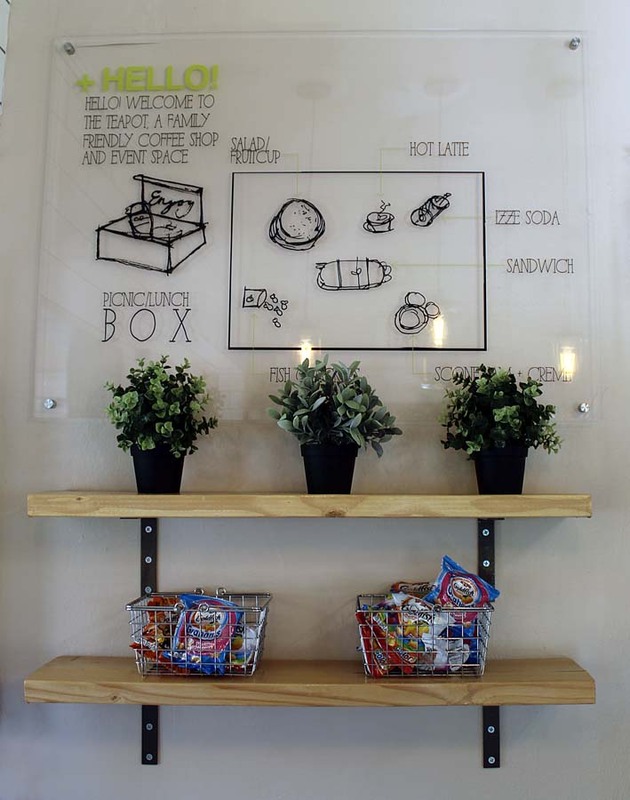 They see themselves as not only a coffee shop, but a full-service restaurant. They will be including dinner soon, as well as serving beer and wine. 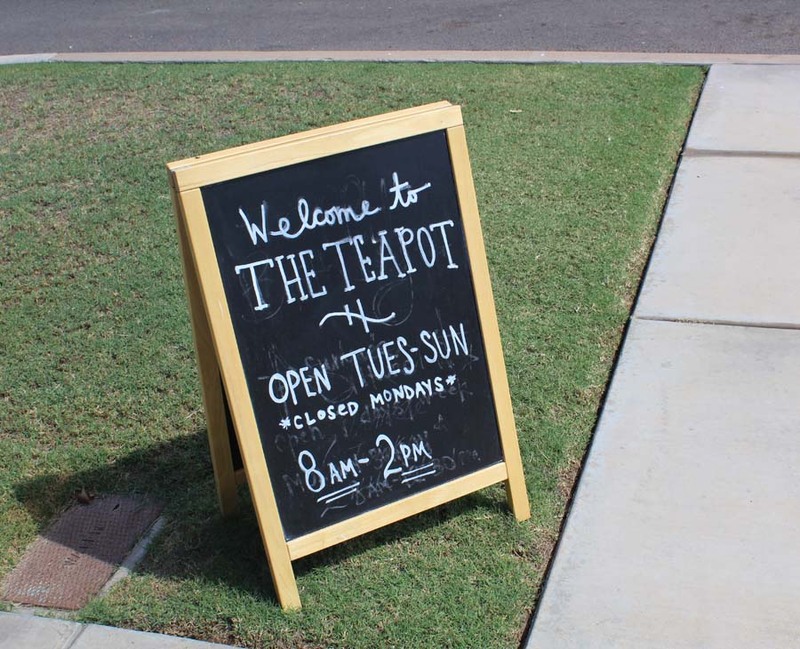 The Teapot is at the top of my list for a whimsical getaway for coffee and a scone here in Phoenix! 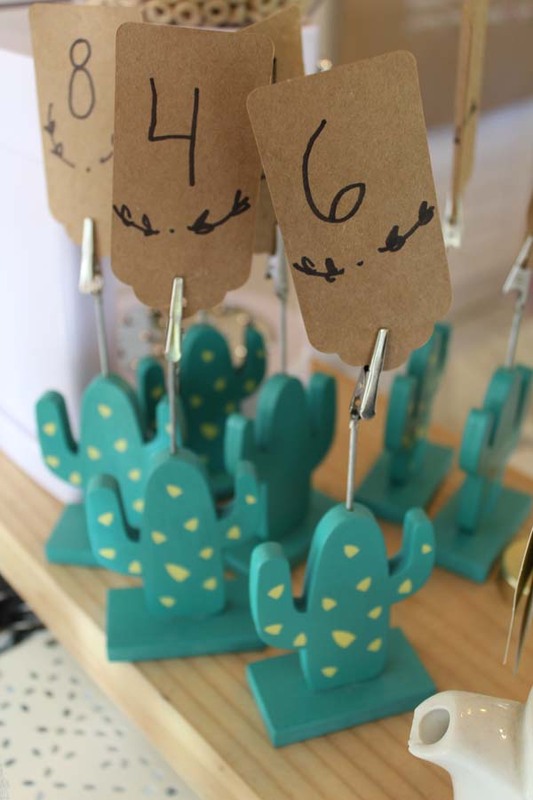 This place is so whimsical…I know how much you must love those little cactus table number holders!!! I myself, am a huge fan of the biscuit! What a cute little place! I wish I was in the area so that I could go check it out. Thanks for sharing. What a darling little space! I love the concept too. Hope you’re enjoying bright and sunny AZ! Wow this is super neat. What a way to flip a house. First of all the name of this place is so cute. Then inside is even cuter! What a great place with an awesome atmosphere! 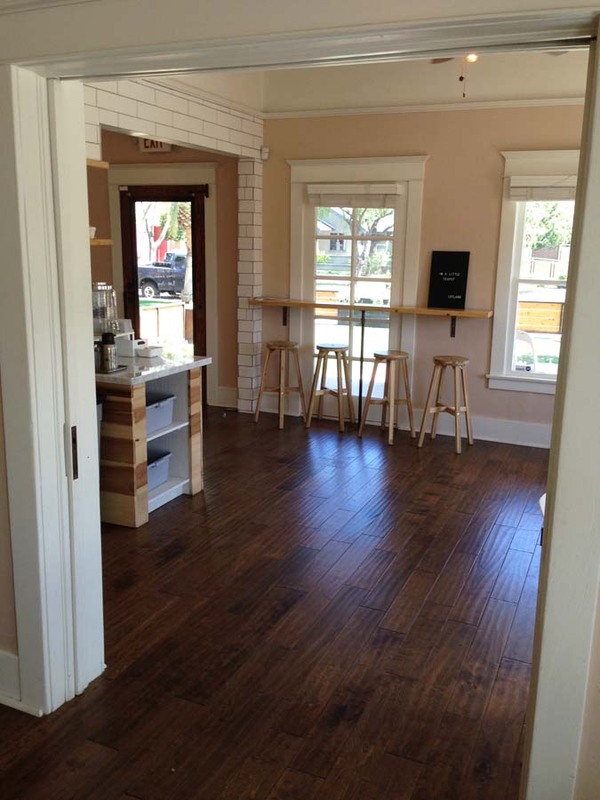 It has the feel of the co-working spot in Midtown Houston. This place is darling! It would be hard not to go there everyday. Nice pictures, I love it!